Elke is all about taking simple elements and combining them into something beautiful. 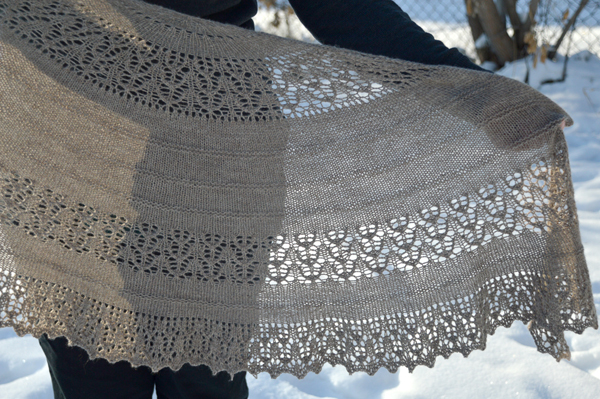 Utilizing a modified half-pi shawl construction, this lace and simple texture pattern creates an elegant look. The pattern is easily modified for a range of yarns and sizes, and suggestions are included for sizing up or down in the pattern. 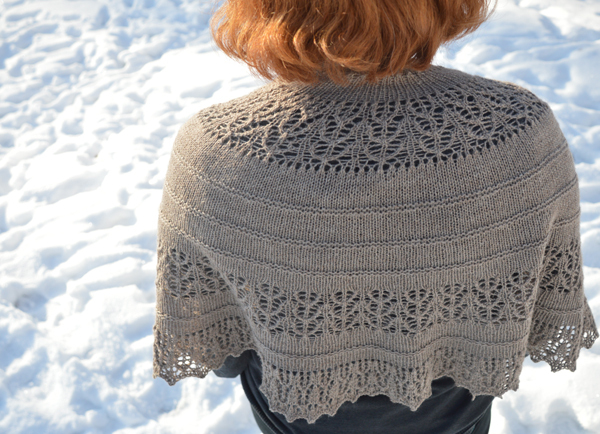 The sample is knit in Mirasol Sulka Legato using 2 skeins, creating a soft squishy shawl, but a thicker weight yarn can easily be substituted to make a thicker, warmer garment for chillier months. This pattern includes both written and charted instructions, and is a good pattern for newer knitters looking to branch out and experiment.